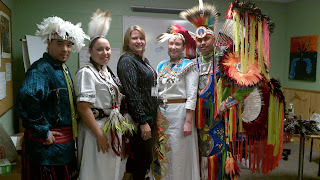 Tribal Vision has been very fortunate in sharing our culture in schools and theaters'. 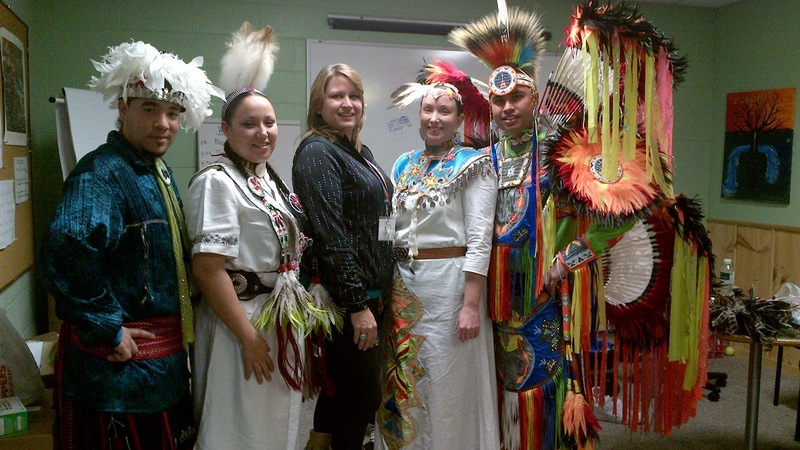 In April of 2011, Adrian sang at the Gathering of Nations Powwow for the Smoke Dance Special. This special contest was to honour the outgoing Miss Indian World, Dakota Brant. 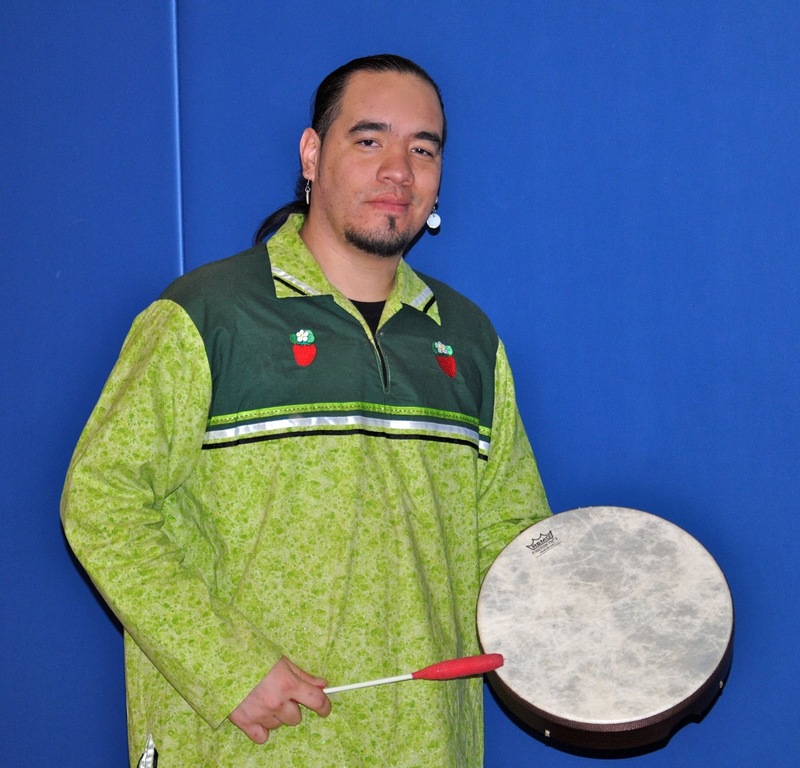 Adrian is not Haudenosaunee but he has learned the songs from the very best singers in Haudenosaunee territory. Adrian is married to a Mohawk, Jennifer, so he took it upon himself to learn the songs and customs. Adrian is a very accomplished Powwow Lead singer and has sung with many of the top drums groups such as Tha Tribe, Northern Cree, Whitefish Jr's, and Eagle Flight to name a few. Haudenosaunee people are very competitive by nature and smoke dance was made to showcase the foot speed and style of the dancer. This was another way to compete against one another. The competition is based on style & dancing on beat, getting the pauses and stops during the song. Smoke Dance songs were made from mostly social dance songs, just sped up very fast and very short. 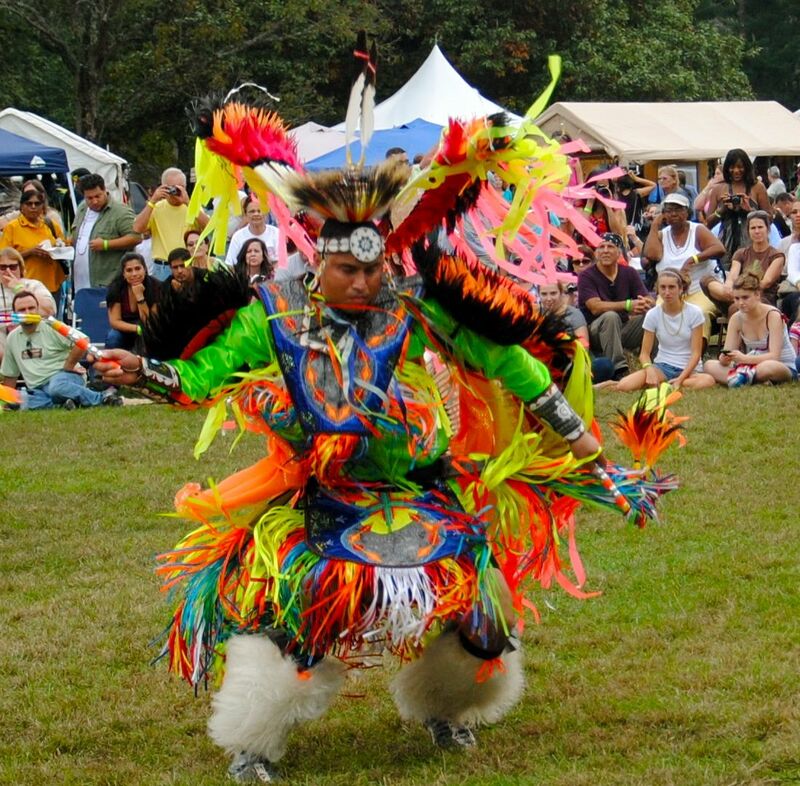 There is also an interesting urban legend that says that elders would get the younger generations to dance very fast to help clear the smoke out of the longhouses. 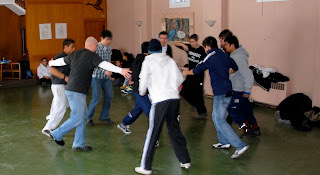 But for social dances in todays Longhouse's smoke dance is not done. Smoke dance is strictly for competition and for dance shows. 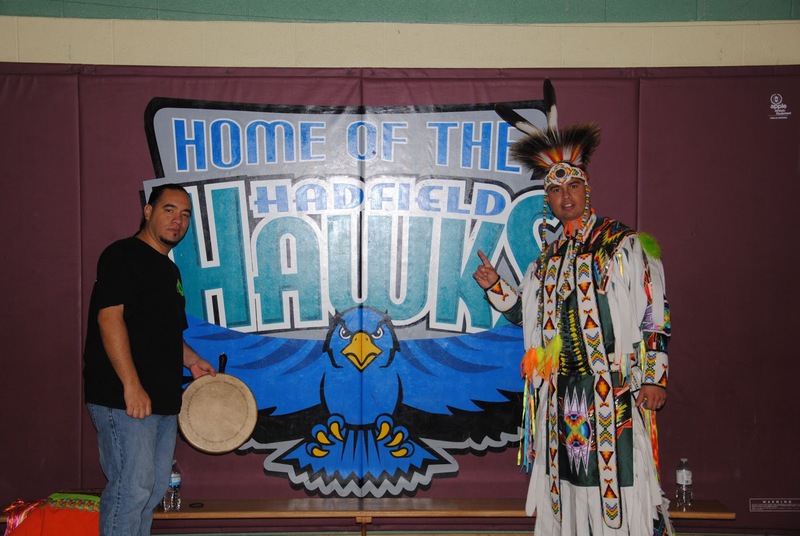 If you went to a Haudenosaunee social today you would not do smoke dance. 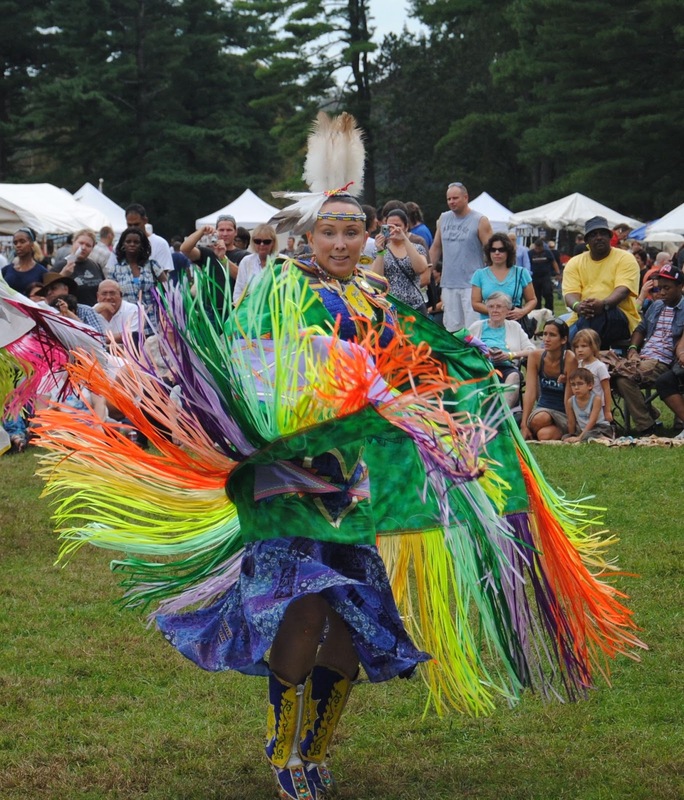 Haudenosaunee people dance for a variety of reasons. Celebrations of all kinds, Ceremonies of all kinds giving thanks to the Creator for a variety of reasons. Certain dances are for socializing and sharing with all people whether Haudenosaunee or not and smoke dance is one of these. 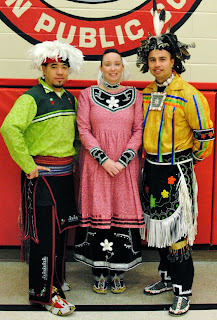 Other dances are ceremonial or medicinal. 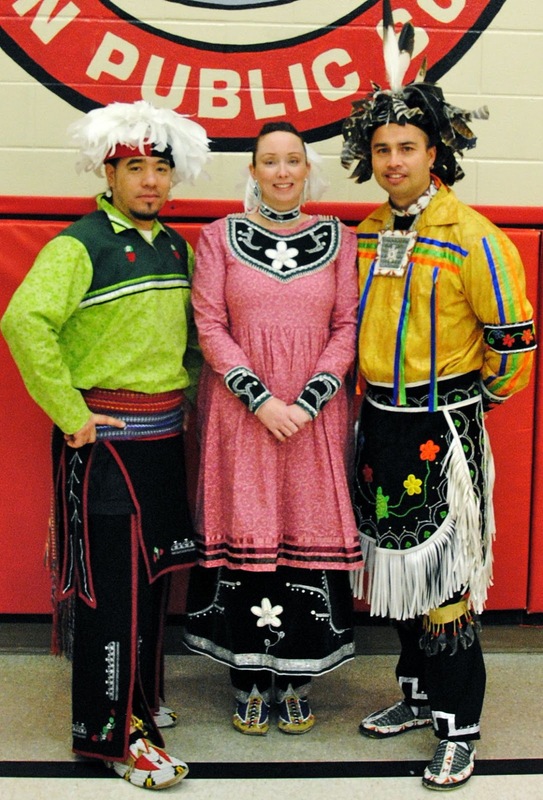 Sacred Society dances are private and to participate you must be a member of the society. This holiday season is flying by in a blur, which seems fitting as 2011 has done the same thing. We have really enjoyed our time meeting new people and having the very best time sharing our shows and workshops with people all over Ontario. We look forward to exciting new adventures in 2012. 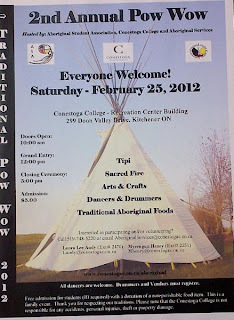 The winter and spring brings the beginnings of the powwow circuit with the Colleges and Universities hosting gatherings. 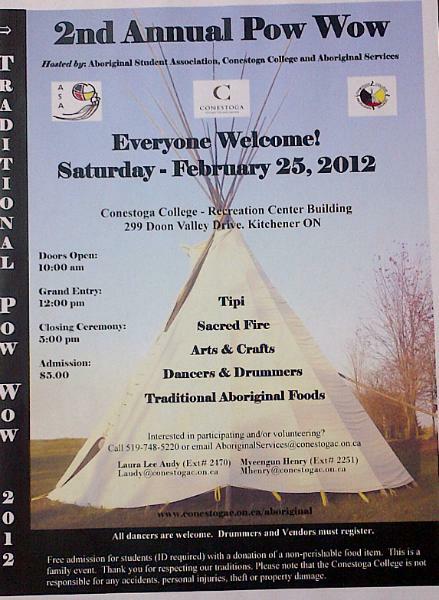 We plan to attend the first of these which is at Conestoga College in Kitchener. I hope to see you there. 2012 Ontario Dance Performance's & Workshop Holiday Deals 1 week Only! Tribal Vision is having a Boxing Week sale save Big when Booking a Multimedia Show receive a free dance workshop. Show and Workshop same day. Must be Used in January 2012. These Spots will go fast so Book Now or pre-order to save your day! Tribal Vision makes booking us easy we bring all audio, visual, equipment. Our instructors have many years of experience teaching, we are striving for excellence and we are always evolving! Changing with the times, Our multimedia show is cutting edge, Edu-taining ,very engaging and interactive! On Thursday I was invited to do a beadwork workshop at Six Nations Tourism. I had a great day. 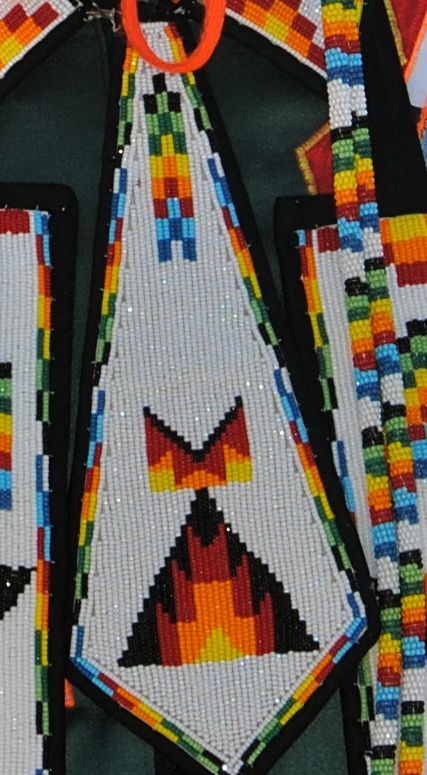 I forgot all my beadwork samples at home so I had to make a quick demonstration model. They even had a full turkey dinner at the lunch break. I thought that was awesome until we hit about 2 pm and the turkey hangover kicked in. It didn't help that the room was really warm. Surprisingly, even in these conditions most of the participants were able to finish their projects. Today I was at St Christopher School in Burlington. I worked with the whole grade 3 population, 100 students. We made mini drums. I was so appreciative of all the parent volunteers who came in to help because I really needed the extra hands. 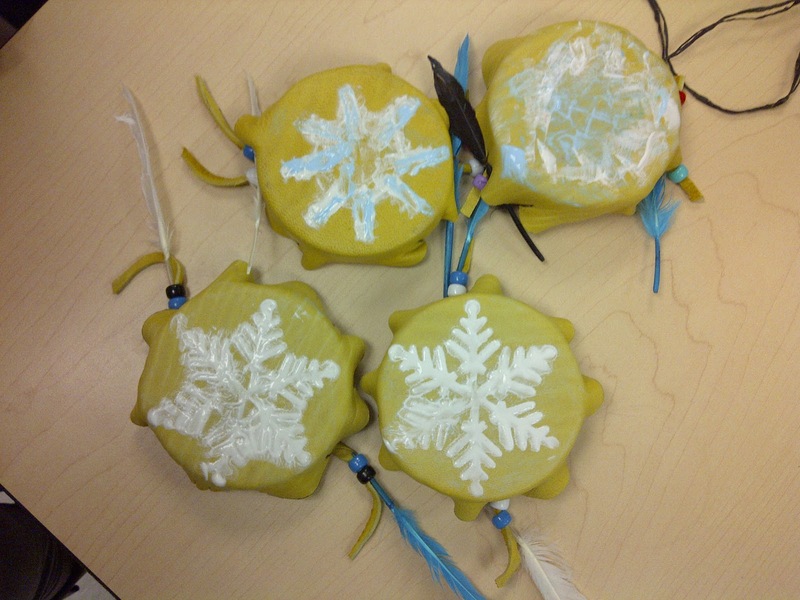 I was truly impressed that every student finished and all the drums looked fantastic. We will be doing one more dance/sing workshop before we break for the holidays. I hope everyone has a relaxing and family filled festive season. part in 'Making the Change'. No really, that changeroom had it all! We were already in a fantastic mood when we started so when the students were so supportive of what we were doing it made for an awesome Friday. We had a 30 minute time slot so that ruled out the multimedia show. This allowed us some freedom with the hoop dance and did the guys ever take advantage of that. Dang, they sang that fast. It's all good though, changing things up once in a while keeps it fresh. We felt honoured to be asked to perform as a part of the Youth Equity Camp at the Edgewood Conference Centre in Eden Mills on Thursday. We are pictured above with Nicole Robinson who always makes sure we have a great experience at her events. We got there early enough to eat and was that ever a wise move on our part. I had some of the tastiest chicken on the planet! When we do these workshops you never know what type of energy from the students your going to get. These students energy level was probably the highest we have ever seen in a good way. The students singing level was amazing and they had a lot of skilled dancers and lots of creativity. Which is really great to work with. Great Job!! Yesterday was a very busy day. We finished up at Tecumseh PS in Burlington for their open house. This video is of Derek doing the Men's fancy war dance from that performance. We had been performing all day and I was giving it my all but apparently my last Hoop dance wasn't quite fast enough for one of the young fellas at this show. It is a good thing to have someone tell you the truth once in a while. It makes you work harder. We spent the day at Chris Hadfield PS in Milton. We had to miss our lunch because the students had such great questions that we just couldn't leave while they wanted to chat, this is what we love about performing. *note to self - bring a lunch. During our last workshop the whole school went out into the halls and the boys volleyball team ran through the school getting good luck high fives. That was awesome. Can anyone please let us know how they did? We would appreciate it if you would leave a comment.